Have you seen the boxes of Red Velvet Pop Tarts in the store? I am a sucker for red velvet, so I bought several boxes. Since I had so many, I thought I should make something with them instead of just mindlessly eating them from the box. 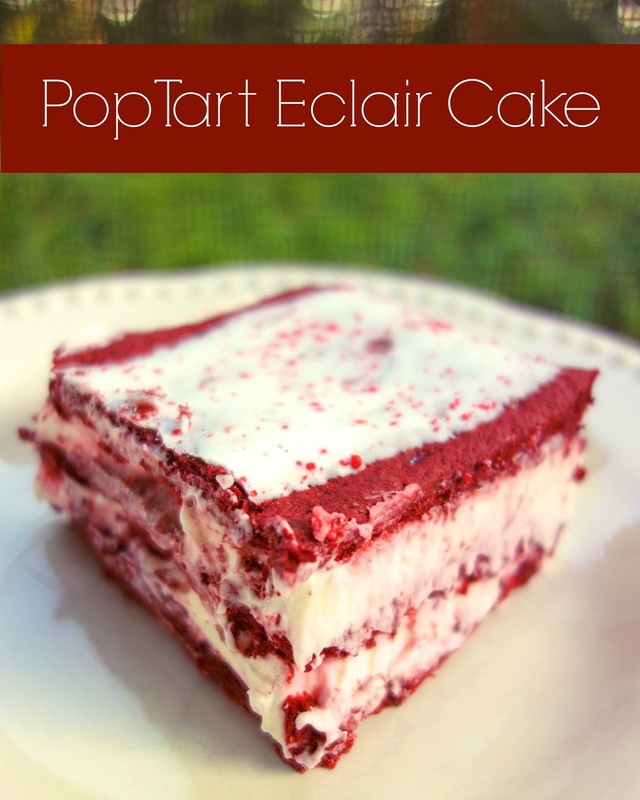 I eventually decided to try them with my eclair cake recipes. I followed the same format as the other eclair cake, but I swapped out the graham crackers with the Pop Tarts. I had my fingers crossed that the Pop Tarts would soften enough to make this like the other cakes. It was pure torture waiting on this cake to set up. Well, it turned out DELICIOUS! I couldn't stop eating this. It is surprising light and easy to eat a ton of. We both gave this two thumbs up! We loved the red velvet and cheesecake flavor combination, but you can use any flavor of Pop Tarts and pudding for this dessert. I am already brainstorming other flavor combinations! What flavors would you use? Spray the bottom of a 9x13 pan with cooking spray. Line the bottom of the pan with 1 box of Pop Tarts. In bowl of an electric mixer, mix pudding with milk; beat at medium speed for 2 minutes. Fold in whipped topping. Pour half the pudding mixture over Pop Tarts. Place another layer of whole Pop Tarts on top of pudding layer. Pour remaining half of pudding mixture over Pop Tarts and cover pudding with another layer of Pop Tarts, frosting side up. I just bought a couple of boxes of pumpkin pop tarts. Now on the search to find the pumpkin pudding mix. Wish me luck! I have not seen the Red Velvet Pop Tarts!! 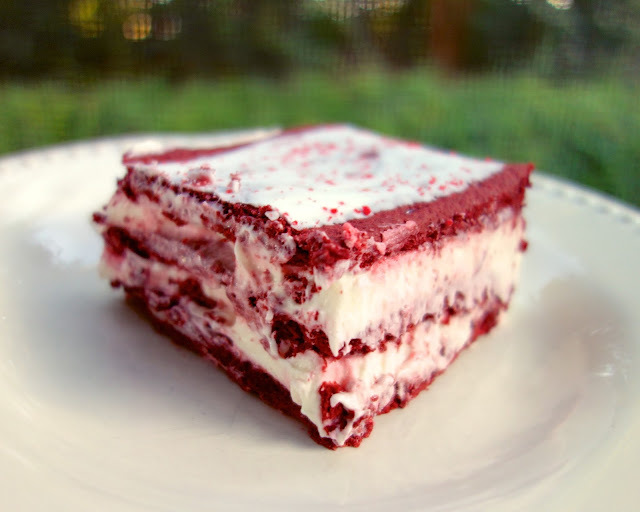 I do love eclair cake tho! OH MY WORD... you know I'm addicted to anything red velvet... I bet this is divine. This is pretty genius. Seriously. Peanut butter, or chocolate peanut butter. Now I have to decide myself. Did the pop tarts end up soft like the graham crackers do, and did you put the bottom layer of pop tarts frosting down or up? Leslie - I put all the pop tarts frosting side up. Yum! I put Red Velvet Pop Tarts into cheesecake bars (crushing the Pop Tarts like you would cookies to make a crust, then mixing chunks into the cheesecake), I'll need another box or two for this. Absolutely! You could do s'mores pop tarts and chocolate pudding. That would be delicious! Found pop tarts,can't find pudding and ideas? you can use vanilla pudding instead of the cheesecake pudding. 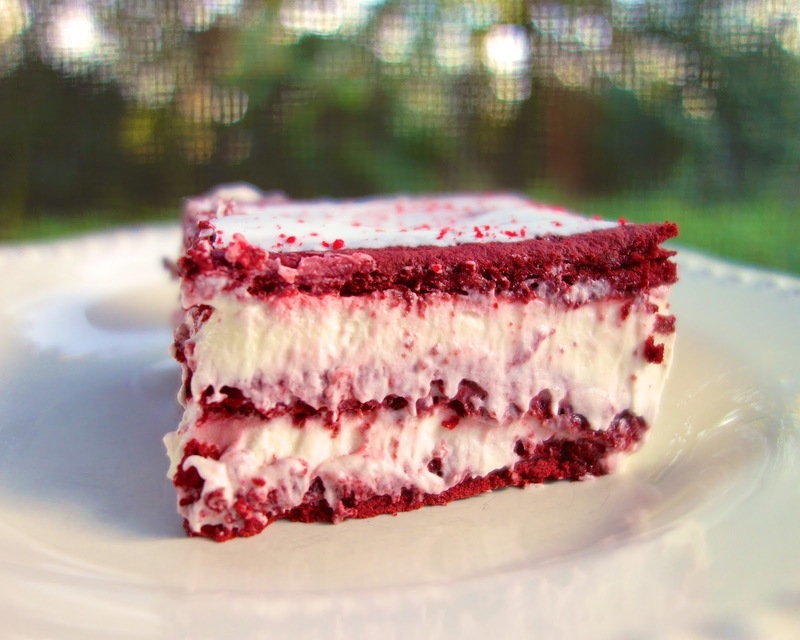 I used Philadelphia Cream Cheese Cake filling. It comes in a tub by the cream cheese. Easy and very good.